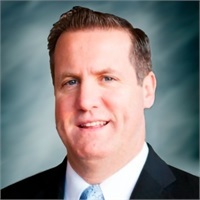 Mr. O’Flaherty is the Western Region Director for BCG Pension Risk Consultants, which specializes in assisting Plan Sponsors with managing their pension risk. BCG has consulted on over 2000 liability settlements for defined benefit pension plans since 1983 and Mr. O’Flaherty is responsible for all marketing efforts for the Western Region of the United States. In June of 2011, BCG announced it had completed the first Buy-In transaction in the US. Mr. O’Flaherty is a 1986 graduate of St. Mary’s College of California with a B.S. in Business and a Minor in Economics. In 2000 Mr. O’Flaherty formed Business Consultants Group (BCG) with Principal Michael Devlin which then joined with Terminal Funding Co. in 2003 to form BCG Terminal Funding Co.
Mr. O’Flaherty has been in the financial services industry since 1991 and has been a speaker at industry events, including the national convention of ASPPA (American Society of Pension Professionals and Actuaries) regarding the topic of Pension Risk Transfer. Mr. O’Flaherty is active in several industry organizations including ASPPA, NAPA, WP&BC, and SHRM. He is married with three children and resides in Eagle, Idaho.